Toys R Us is thinking of happier times this holiday season by going back in time for their latest ad campaign. In what the beleaguered toy chain calls a “remix,” their Christmas ad released on Twitter features clips and music inspired by two of the toy store’s most successful commercial campaigns. The ad begins in 1976, the year the animated “Toys R Us Time of Year” Christmas commercial first aired. 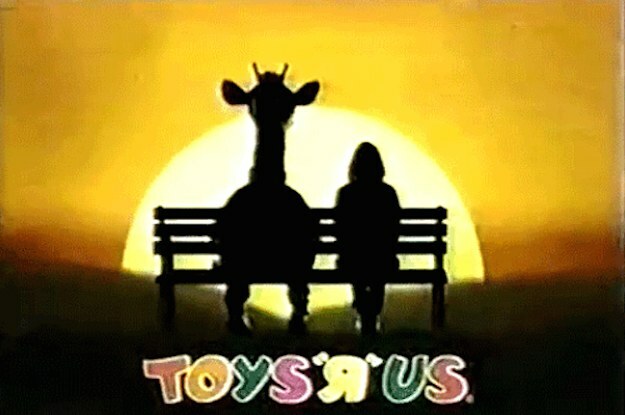 The ad features the company's iconic mascot, Geoffrey the Giraffe, and his family traveling to and then exploring the magic of being inside a 1970s Toys R Us store. The next commercial fast forwards you to the mid-1980s, and draws from the wildly popular “I Don’t Wanna Grow Up” campaign. The song is performed by Jenny Lewis, who appeared in an original Toys R Us ad as a child. Overall, this campaign is certainly a welcome distraction from the financial troubles the toy store chain os currently experiencing. Toys R Us sought bankruptcy protection in September, as online merchants like Amazon continue to eat into the once solid revenue streams of brick-and-mortar retailers and kids spend more time playing with apps on phones and tablets rather than playing with traditional games.